When a young girl joins a dance troupe, its members fall victim to a mysterious condition. Isn't it odd how often two movies with a shared theme will go into production at the same time? High profile examples are 1998's asteroid disaster epics Armageddon and Deep Impact, 2006's Victorian magician thrillers The Prestige and The Illusionist, and 2013's presidential actioners White House Down and Olympus Has Fallen. Though Anna Rose Holmer's The Fits is arriving in UK cinemas almost three years after Carol Morley's The Falling, both films went into production around the same time, so no accusations of plagiarism can be made, yet it's remarkable how Morley and Holmer's film share such a specific concept. Or maybe they're both just devotees of Peter Weir's Picnic at Hanging Rock? In The Falling, students at a British all-girl school succumb one by one to an unexplained phenomena that causes them to convulse in wild fits. 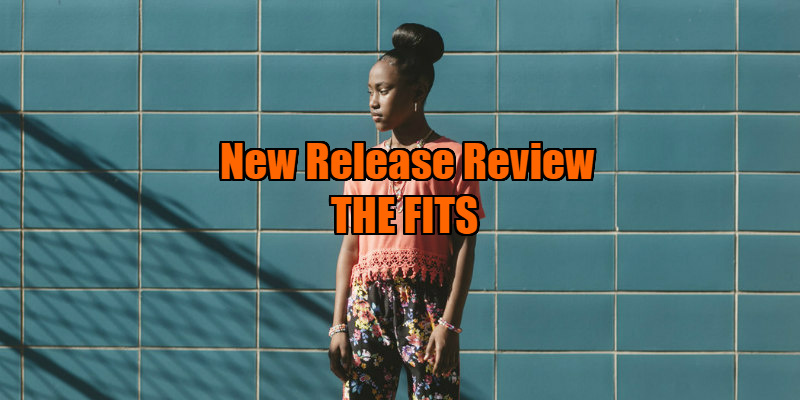 In The Fits, the same mysterious condition afflicts the members of an all-girl African-American dance troupe, known as the Lionesses. Joining the group is shy 11-year-old Toni (the wonderfully named Royalty Hightower), who previously has devoted her time to training with the boys in the local boxing gym (if the girls are the Lionesses, the boys here are Lions, shown devouring a pizza like a pack of wild animals attacking a carcass). Initially she's out of her depth - as out of sync with her fellow dancers as Robert Walker in the tennis match crowd of Strangers on a Train - but she's determined to fit in, spending hours practising her moves alone, combining her newly acquired dance moves with her boxing workouts, almost creating a new form of dance of her own. Just after joining the Lionesses, other members of the troupe begin to experience the eponymous condition. At first the water is suspected, but when tested it proves harmless. With the authorities confounded, the ailment moves through the troupe, with Toni terrified of when her turn will come, but also feeling a little left out that it hasn't struck her yet. I don't need to draw a picture to outline the obvious metaphor here. Holmer's film is a genuine oddity, mixing various elements to create something that could be labelled unique were it not for the existence of its British cousin. It's part horror movie, with a creepy discordant score accompanying many scenes, part high school comedy (pocket-sized dynamo Alexis Neblett is hilarious as Toni's socially energetic best friend), part coming of age musical, with Holmer displaying a Minnelli-like understanding of how to shoot dance sequences that's far less showy but just as effective as La La Land. She often frames Toni like Judy Garland in Meet Me in St. Louis, her unimposing figure highlighted by the mass of colourful, writhing bodies that surround her. Unlike La La Land, whose leads dance as though an offscreen rifle is pointed at their heads, in The Fits, Toni dances like nobody's watching. I'm glad I was. 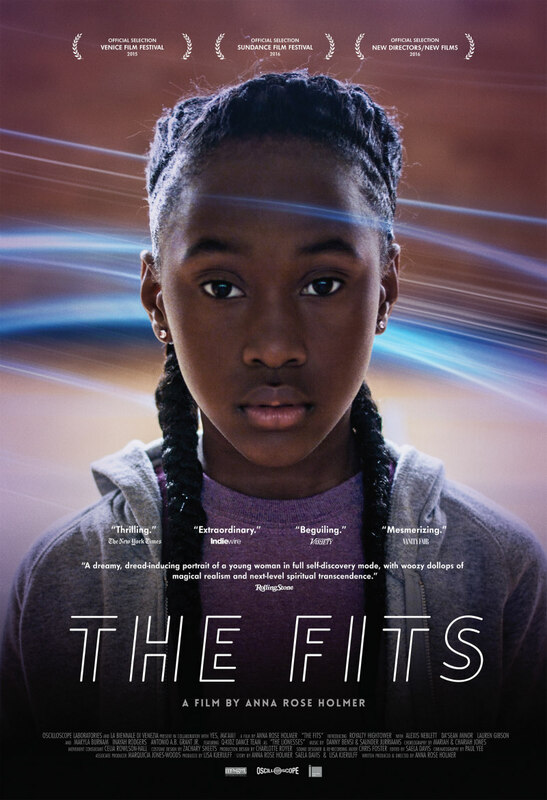 The Fits is in UK/ROI cinemas February 24th.